Deep neural networks (DNNs) are becoming a popular tool in data-driven applications. One of the next frontiers is distributed DNNs over computer networks for improved scaling (e.g., for scaling training as in federated learning) and parallel DNNs over processor arrays for low-latency inference in real-time applications. To this end, there is a need to understand issues such as communication, computation, and accuracy trade-offs. This research-oriented course will address this relatively new, yet rapidly advancing, topic. We will survey the main approaches, with a unique focus on the interplay between deep learning models, parallel and distributed computing architectures, and the hardware structures of end devices. Emerging technologies in deep learning such as automated neural architecture search and neuromorphic computing. Students working in 2- or 3-person teams will do a substantial project in these and other related areas. Prerequisites: Basic courses in networking (e.g., CS 143) and AI (e.g., CS 181 or 182), programming experience (e.g., CS 51), some research experience, and a strong interest in the subject matter. Lab sessions will be provided to give extra support. Computer networking has enabled the emergence of mobile and cloud computing, creating two of the most important technological breakthroughs in computing of the past decade. We expect three major focuses in the next ten years. First, we will witness the emergence of 5G wireless mobile networks, which will begin to replace the current 4G networks as early as 2020. Second, cyber security will receive unprecedented attention from industry. Third, blockchain technology, which has powered Bitcoin, is creating a new trusted network infrastructure that will allow information to be distributed but not copied. While these areas are each rich in intellectual content on their own, they will also interplay with one other, creating interesting opportunities for those versed in all three. In order to play a role in this era of network-based computing, students must have a thorough understanding of these networking technologies and applications. Beyond teaching the basic networking protocols, which have become very mature and can be treated as a black box, in CS 143, we will teach new networking issues and topics of significance. This focus on upcoming wireless, network security, and blockchain advancements is the motivation for CS 143 this semester. Students in the course will read and discuss basic material as well as the latest literature, work on homework assignments, gain hands-on experience through network programming, and have the opportunity to present the concepts and insights learned through a final project. Prerequisites: CS50 (or programming experience) and a strong interest in the subject matter. Lab sessions will be provided to give extra support. As networking technologies advance, networks and their applications can operate more and more by themselves without help. For example, based on blockchains, we can develop autonomous systems that will provide forever-improving peer-to-peer services. More specifically, with proper incentives provided to participants to contribute, the network will continue to improve over time. In this course, we will study core network-related technologies whose interplay will be responsible for these autonomous systems of the future, which range from the Internet of Things (IoT) to decentralized autonomous organizations. These technologies include blockchains, machine learning, IoT, datacenter networking, video-analytics over heterogeneous networks, mobile computing, and homomorphic encryption for cloud computing. We will first review these core technologies. Following this, we will illustrate novel autonomous applications such as peer-to-peer business models for machine learning systems, including the models themselves and the data on which they operate. Another application example will be the distributed classification of security attacks, including designing incentives to encourage collaboration in mitigating attacks. Students will work in pairs on projects related to autonomous technologies and business model experimentation. Computer networking has enabled the emergence of mobile and cloud computing, creating one of the most important technological breakthroughs in computing of the past decade. We expect two major paradigm shifts will take place in the next ten years. First, we will witness the emergence of 5G wireless mobile networks, which will begin to replace the current 4G networks as early as 2020. Second, blockchain technology, which has powered Bitcoin, is creating a new trusted network infrastructure that will allow information to be distributed but not copied. In order to play a role in this era of network-based computing, students must have a thorough understanding of these emerging networking technologies and applications. Beyond teaching the basic networking protocols, which have become very mature and can be treated as a black box, in CS 143, we will teach new networking issues and topics of significance. This focus on upcoming wireless and blockchain advancements is the motivation for CS 143 this semester. Students in the course will read and discuss basic material as well as the latest literature, gain hands-on experience through a programming assignment, and have the opportunity to present the concepts and insights learned through a final project. Networking has enabled the emergence of mobile and cloud computing, creating one of the most important technological paradigm shifts in computing of the past decade. The next major paradigm shift in computer networking will be the emergence of 5G wireless mobile networks, which will begin to replace the current 4G networks as early as 2019/2020. These further advancements in wireless networking are expected to transform the technological landscape over the next decade by enabling an endless possibility of new applications, including the Internet of Things and wireless virtual reality, through the emergence of wireless networks with gigabit speeds. In order to play a role in this era of new network-powered advancements, students must have a thorough understanding of emerging networking topics, especially in the wireless domain. Rather than teaching the basic networking protocols, which have become very mature and can be treated as a black box, in CS 143, we will teach the new issues and topics of interest, which will power important emerging applications. This focus on upcoming wireless advancements and mobile applications is the motivation for CS 143 this semester. Students in the course will read and discuss the latest wireless networking literature, gain hands-on experience through a programming assignment, and have the opportunity to present the concepts learned in the course through writing a final position paper on emerging wireless networking technologies. Prerequisites: CS50 (or programming experience) and strong interest in the subject matter. Lab sessions will be provided to give extra support. Scaling computation over parallel and distributed computing systems is a rapidly advancing area of research receiving high levels of interest from both academia and industry. The objective can be scaling up computation size, e.g., for deep neural networks, with only modestly increased energy consumption. The objective can also be scaling down energy usage, e.g., for the Internet of Things (IoT) devices, with only modestly decreased outcome quality. To this end, in this course students will learn principled methods of mapping prototypical computations used in machine learning, IoT, and scientific computing onto parallel and distributed compute nodes of various forms. To master the subject, students will need to appreciate the close interactions between computational algorithms, computer organizations and software abstractions. After having successfully taken this course, students will acquire an integrated understanding of these issues. Great inner loops and parallelization for feature extraction, data clustering and dimension reduction: PCA, random projection, clustering (K-means, GMM-EM), sparse coding (K-SVD), compressive sensing, FFT, etc. Students will learn the subject through lectures/quizzes, programming assignments, research paper presentations, and a final project. Students will have latitude in choosing a final project they are passionate about. They will formulate their projects early in the course, so there will be sufficient time for discussion and iterations with the teaching staff, as well as for system design and implementation. Industry partners will support the course by giving guest lectures and providing resources. 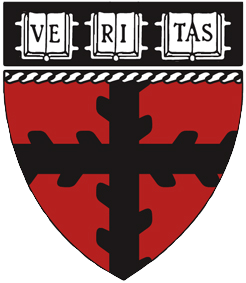 The course will use server clusters at Harvard as well as external resources in the cloud. In addition, labs will have access to state-of-the-art IoT devices and 3D cameras for data acquisition. Students will use open source tools and libraries and apply them to data analysis, modeling, and visualization problems. Prerequisites: (1) programming experience (Python, MatLab or C/C++ should be fine); (2) basic knowledge in systems and machine organization; (3) familiarity in data structures and algorithms; and (4) maturity in mathematics (e.g., undergraduate linear algebra and statistics). For students with strong interest in the subject matter and related research topics, one of these four requirements may be waived. Labs and extra support will provide preparation in the first weeks of the semester to help students quickly obtain the background necessary to excel in the course. Networking has evolved to a new era of supporting large-scale distributed computing for big data. These new networks are software defined in the sense that they can be dynamically programmed to meet various communications needs in computing. In CS 144r/244r, students will obtain the knowledge and experience necessary not only to understand this momentous technological shift in networking, but also to be able to play a part themselves. To this end, the course will not only teach the fundamental concepts necessary to understand this emerging field of software-defined networking, but also real-world applications of the technologies such as next-generation ultra-dense 5G cellular networks, as well as their connection with complementary topics such as machine learning. Students will gain mastery of the subject through lectures, programming assignments, discussion of the latest networking literature, and a final project. Students will have wide latitude in designing and implementing a final project they are passionate about. Industry partners will support the course and provide resources for the final projects. Prerequisites: Programming experience (CS 50 should be fine) and interest in the subject matter. Importantly, CS 143 is NOT a prerequisite. Labs and extra support will provide intensive preparation in the first weeks of the semester to help students quickly obtain the networking background necessary to excel in the course. The course instruction has two components: lectures and labs. Lectures will focus on teaching the foundational modules based on research literature. The labs will provide assistance on the programming tasks, and will use server clusters at Harvard as well as remote resources in the cloud. In addition, labs will have access to state-of-the-art 3D cameras for data acquisition. Students will learn to use open source tools and libraries and apply them to data analysis, modeling, and the visualization of machine learning and scientific computing problems. Students will complete weekly quizzes on assigned reading materials, practice skills through programming tasks, and implement a final project (in 3- or 4-person teams) using concepts and skills learned in the course. Prerequisites: 1) programming experience (Python and CS50 should be fine); (2) basic knowledge in systems programming and machine organization (e.g., CS61); (3) familiarity in algorithms (e.g., CS124); and (4) maturity in mathematics (e.g., undergraduate linear algebra and statistics). For students with strong interest in the subject matter, one or two of these four requirements may be waived. Networking has enabled the emergence of mobile and cloud computing, creating the most important technological paradigm shift in computing of the past decade. Further advancements in networking are expected to similarly transform the technological landscape over the next decade through the emergence of the Internet of Things and gigabit wireless networks. In order to play a role in this era of new network-powered advancements, students must have a thorough understanding of emerging networking topics. Rather than teaching the basic networking protocols, which have become very mature and can be treated as a black box, in CS 143, we will teach the new issues and topics of interest which will power important emerging applications. This focus on upcoming applications is the motivation for CS 143 this semester. Students will have the opportunity to implement the concepts learned in the course through programming assignments, read and discuss the latest networking literature, and design and implement a final project. Prerequisites: Strong interest in the subject matter and programming experience (CS50 should be fine). Lab sessions will be provided to give extra support. In recent years we have witnessed a wave of new Internet of Things (IoT) devices in consumer markets. These include wearables such as wrist watch computers and ear phones for personal entertainment, work assistance and bio-metric monitoring. Enabled with energy-efficient computing cores and sensors, these devices can be programmed to perform a variety of personalized or context-specific tasks at extremely low power consumption. Many believe that IoT will play a key role in the next frontier of computing. In this course we will study IoT and related devices and services. We will focus on new opportunities and challenges, including security on tiny devices and use of machine learning technology to enhance their usage. Industrial partners will help facilitate course projects.